What type / genre of music is used for contemporary dance? Comments for What type / genre of music is used for contemporary dance? 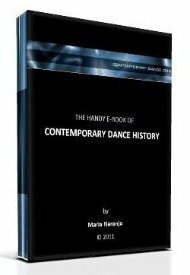 Answer from Maria to What type/genre of music is used for contemporary dance? Contemporary dance is an artistic activity that does not have strict boundaries. It is produced worldwide by different kind of people with really diverse aesthetical projects. Among its diversity, contemporary dance allows you to dance to any music you like, or even in the silence. This is a dance genre that is not dependant on music, like the majority of other dance genres.